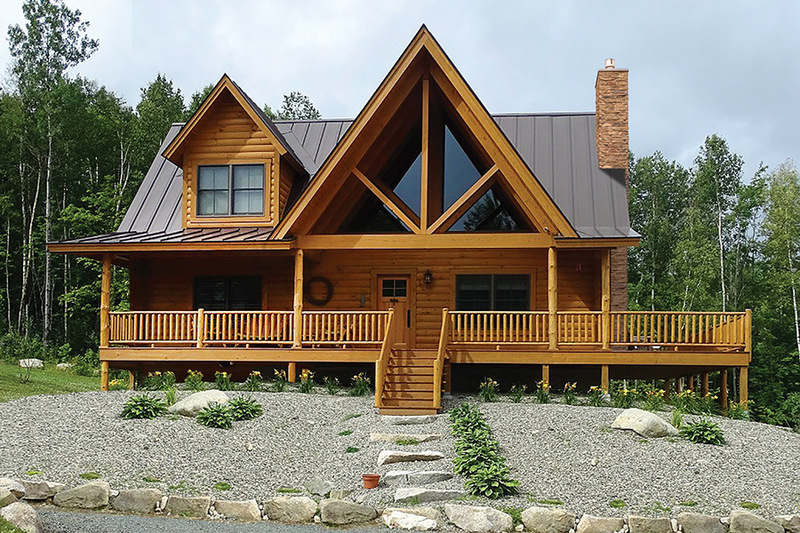 If you’re looking for a picturesque, 2-bedroom vacation home or simply downsizing, the popular Mountain Laurel may be just right for you. It packs a lot of features into a smaller plan without sacrificing the essentials. Both bedrooms have their own private baths and plenty of closet space. The spacious great room has a large stone fireplace, cathedral ceiling with exposed timbers and lavatory. The second floor is perfect for guests since the bedroom has a bath and walk-in closet. 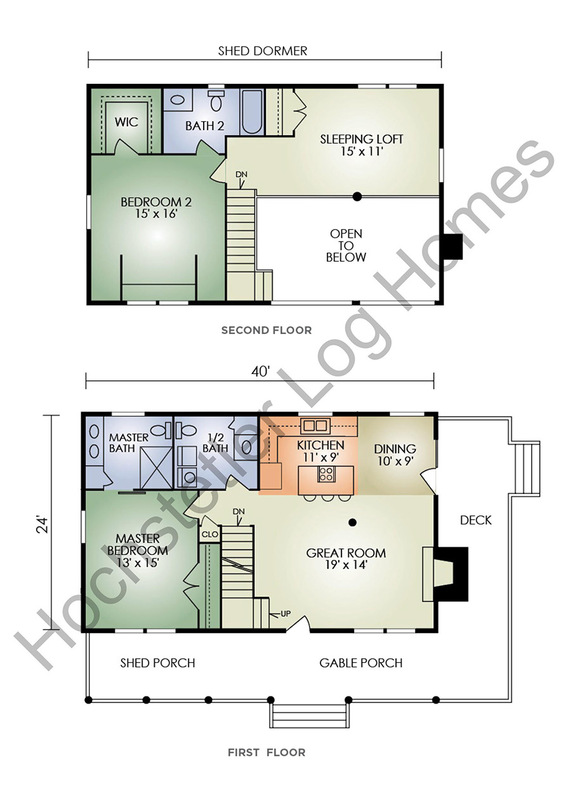 The open loft also has a closet and plenty of room for an entertainment center or sewing room. Outside, the wrap-around porch offers a place to relax and take in the great outdoors!